In this article, I will be explaining how to send cash to Branch Office from Sub Post office(C or B class post office). 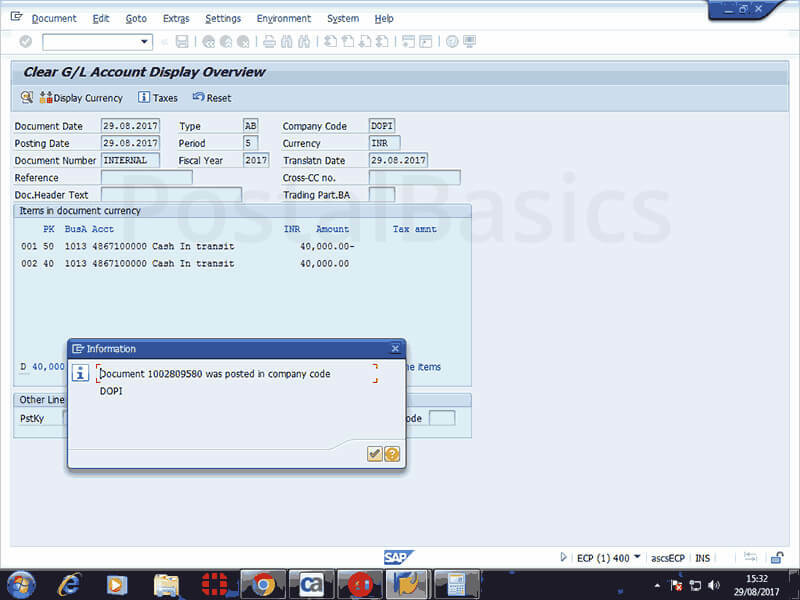 Enter the T-code ZFFV50 in SAP module. The below window will appear. The system will take debit and credit GL codes automatically. Click on save button. Noe, the sub postmaster or treasurer has to perform cash request process instead of branch post master since BO is not migrated to RICT. 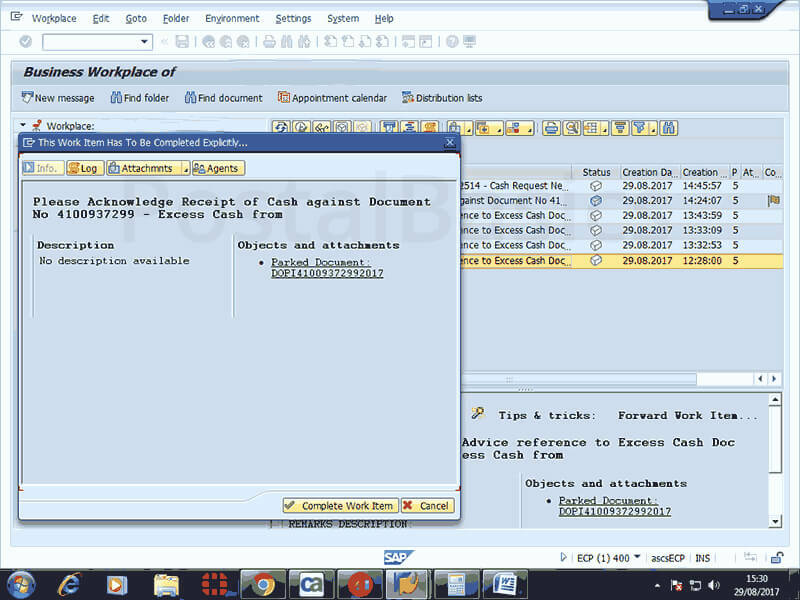 Again SPM has to go to Inbox » Workflow » click on Released cash request from x BO message » click on Document menu and then on complete. Now, the Treasurer has to go to Inbox » Workflow » click on Change parked disbursement » click on save button. 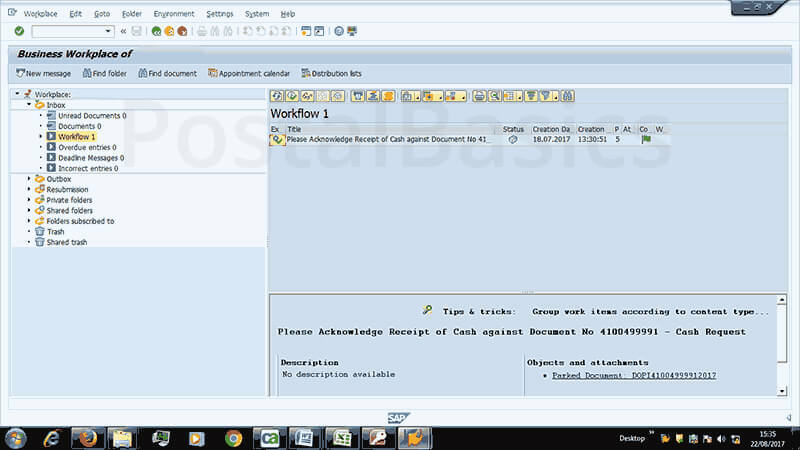 Go to SAP main screen, go to Inbox » Workflow » click on Post Disbursement Cash from x office » click on Post Document. This is the last step in this procedure. Some offices may not have 2nd and 3rd steps but, it may merge and become a single step. Just keep in mind that once you come to post document window, that will be the final step. Thus the amount will be deducted from your Teller Cash Book(TCB). 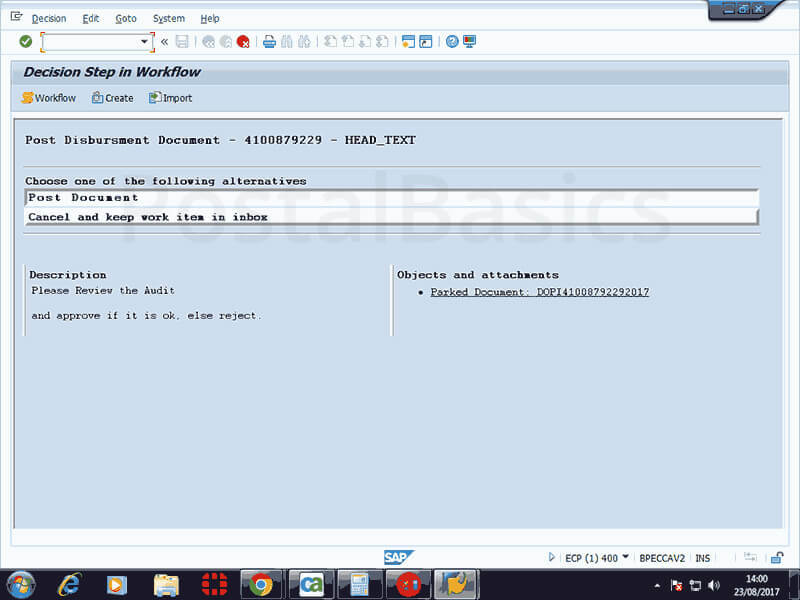 Once you done the above step, a message Post Parked Disbursement will remain in your inbox till the acknowledge of BPM. BPM may have recieved this cash to his account the next day(1 day transit) or the day after (2 day transit). 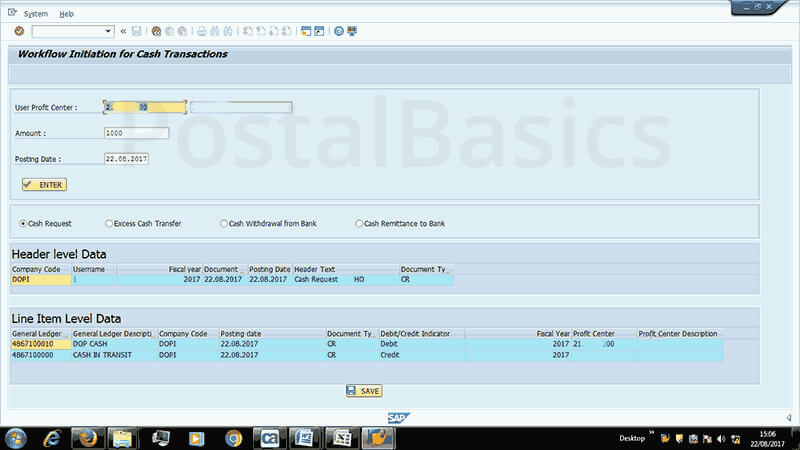 Once the cash is received, BPM will acknowledge the same in Branch Office daily account. 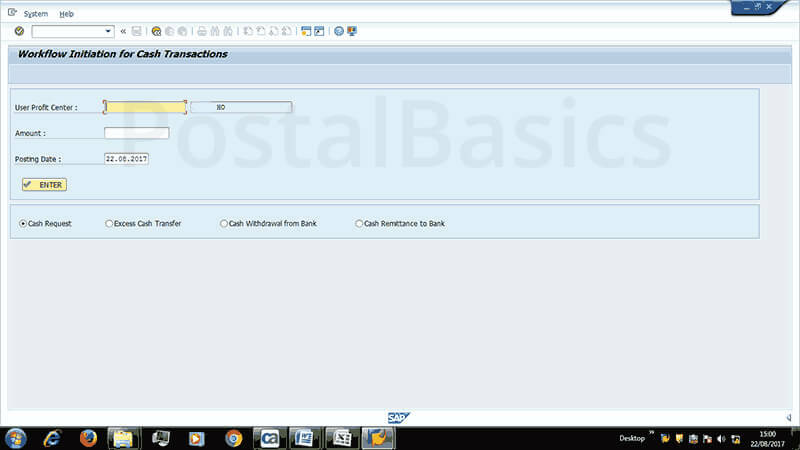 So the following step should be carried out on behalf of BPM(until migrated to RICT). Now click on complete work item. Thus it will be effect to Branch office daily account. It will be at receipt side showing as cash taken by BPM.